Dr Richard Freeman is presently Research Fellow at the Hanse-Wissenschaftskolleg (Hanse Institute for Advanced Study), an independent foundation in Delmenhorst, north-west Germany, where he is working with a research team at the University of Bremen on health policy in advanced industrial countries. He is a Senior Lecturer in the School of Social and Political Science at the University of Edinburgh and also Director of its Public Policy Network. He recently talked to Sarah Marten about his experience of working in Germany. Why did you choose to work in Germany? I was part of a team invited to come to the Institute (the Hanse Wissenschaftskolleg or HWK, in German) to work with the health group in Bremen. Although I'm a social scientist my first degree was in German and I'd spent a lot of time here - though not in Bremen - about twenty years previously. Bremen is well known as a centre of social policy research, and I was glad to have the chance to come back. HWK was offering a fully-funded, ten-month fellowship which I wasn't going to turn down. I've now spent different periods of between one and four months here over the last five years. The HWK organised everything I needed in order to start work in Germany. Holding an EU passport meant I didn't need a work visa, and the institute here organised health insurance and a residence permit. Because it's what they do all the time with visitors from different places, that administrative process was made very straightforward. I think it might have been different if I'd had to sort it out all out myself. Before that there's always a certain amount of negotiation to be done with your own institution in order to take leave. Given that the fellowship funds almost all of my salary while I'm here, though, that wasn't much of an issue. Edinburgh is as keen as Bremen to support international collaboration, so the questions were only ever really about how to make it work, not whether I should come. Getting here is easy enough; not many journeys within Europe take very long. There's now a low-cost direct flight between Edinburgh and Bremen, though that's new. I guess you could go home for the weekend, though I tend not to when I'm here for relatively short stays. Strangely familiar: I'd been to Germany before, but not Bremen; I've done other fellowships - in Italy, France and the US - though not here, obviously. And when I was first here I was moving between Bremen and Addis Ababa, Ethiopia, so this end of things seemed relatively routine. Apart from that you have to be ready to figure things out: most other places I've been to have buses and swimming pools, for example, though where to get your tickets and how to operate the lockers is always somehow different. The HWK has its own accommodation, and I was given my own, self-contained apartment. It's fully-furnished and well-equipped, so I've been very lucky. The institute is set in parkland some way outside Bremen itself, in Delmenhorst. It's a very modern, steel-and-glass building with lots of high-tech, contemporary design. It's been interesting to stay here - and very functional and efficient - though I'm not sure I'd always want to live like this. There are up to 20 fellows here at any one time, though we work in areas as disparate as Marine and Climate Research, Neuroscience and Cognitive Sciences and Social Sciences. I go up to Bremen two or three times or week to work with the health policy group; otherwise I'm here, writing. The institute works in English. I tend to work in German with my research group, just because I can and it's easier that way. If I couldn't, they'd work in English. All the writing we do together is in English. Is the HWK part of the University of Bremen? As it says on the website, the Hanse-Wissenschaftskolleg is a non-profit foundation which exists to support the research potential in the universities and research institutions in the region, in particular the Universities of Bremen and Oldenburg. It specifically encourages interdisciplinary collaboration, both nationally and internationally. Guest scholars or fellows come from all over the world, including China, India, Australia, the US and Canada, as well as different parts of Europe. How does the HE sector in Germany differ from that in the UK? There are big differences between the HE sectors in the UK and Germany, although the structure of German university education is moving towards the UK model. Partly as a result of European integration, German universities now offer Bachelors and Masters degrees which are very similar to those in Britain. It's probably still more common in Germany to go to your local university, and to work and study part-time while accumulating credits for your degree, than it is in the UK. German universities tend to be much bigger than British ones, in that they have many more registered students. The role of professor in Germany is rather different to that in the UK; they have more personal authority here, and have direct control over teaching and research assistants assigned to the posts they hold, perhaps a bit like hospital consultants in Britain. Bremen has just formed a Graduate School of Social Science in collaboration with other local institutions. It looks much like ours in Edinburgh in terms of its courses, students and the kind of research they do. There's a lot of interest in developing some sustained collaboration between the two, and I guess I might be involved in that. A group of research fellows and doctoral students in health policy from Edinburgh are about to visit us for a joint workshop with Bremen students, for example. What about the academic disciplines? There have always been differences between German and Anglo-Saxon (British and American) social science, although this isn't really an issue for me. My work in health policy, like many other people's, has always been multidisciplinary and comparative, and has involved working in an international research community. What sort of work are you engaged in? Bremen has a research centre entitled “Transformations of the State” which comprises a number of different projects, all with long-term funding. The one I'm attached to is investigating the way the role of the state in health policy is changing, and the effect that has on the nature of the state as such. The group here has established that advanced industrial countries have become increasingly similar in the levels of public financing they commit to health care, and in increasing the proportion of care delivered by private providers. They have also come to use a mixture of ways of ensuring that care of reasonable quality is provided without costs getting too high. My role in the project has been to comment on the work as it has been carried out, participating in meetings and reading and sometimes writing papers with colleagues here. I've also had time to continue with other writing projects of my own. I still have obligations in Edinburgh, of course, and I can deal with most of that by email - just as I would at home. People are using Skype now much more than they did before. I can do supervisions and other kinds of meetings that way if I need, though it’s never quite the same. Now there's a question. Much as they would be at home, in fact, though I don’t feel I'm rushing as much as I would be otherwise. 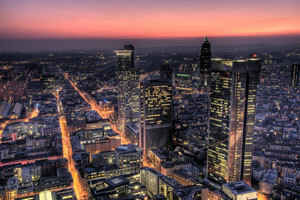 How will working in Germany benefit your career? Most promotion and other procedures ask after your international reputation or standing, and this is one way of developing and showing it. In universities like mine, and in fields like mine, it would probably be strange not to be involved in international collaboration of some kind. But that said I've been very lucky - again - to have been able to come here. What has been the best moment so far? The HWK hosts a range of outstanding people from all over the world, and working here has given me the opportunity to establish some really nice personal and professional connections with them. I have a great relationship with colleagues in Bremen and that was the reason for coming, but the international dimension has been a real bonus. Has there been a worst moment? Have you got any advice for other academics planning to work overseas? Do it! It's not always easy, but it's almost always worthwhile. And you don't always realise quite how much you've gained from it until some time after you're back. Richard Freeman’s first degree was in Modern History with Modern Languages (German) at the University of Oxford. He did a postgraduate Diploma in Social Administration at the University of Manchester, staying on to complete his PhD there in social policy. He was then Lecturer in the Department of Political Science and Social Policy at the University of Dundee for three years before moving to the University of Edinburgh as a Lecturer in European Policy and Politics. He is now Senior Lecturer there in the School of Social and Political Science, and Director of the University's Public Policy Network. He has held research fellowships at the European University Institute in Florence, Yale University and the Institut d’Etudes Politiques ('Sciences Po') in Paris as well as at HWK. He is the author of The Politics of Health in Europe and more than 50 other papers and chapters in books. One of the most recent of these is the chapter on health policy - written with the Director of the research group he works with in Bremen - in the forthcoming Oxford Handbook of the Welfare State.